We are open Monday to Wednesday from 9.00am to 5.00pm. East London has been a home to refugees for over a century. To cater for the ever growing needs of the immigrants in East London, The Refugee Advice Centre was established in Leyton in January 1992 by volunteers. The idea was to provide a One Stop advice service to refugees of various nationalities fleeing from civil wars and persecutions in their home countries. Although number of changes have taken place since then not only in the refugee law but also in the way the governments deal with the refugees problems, the Refugee Advice Centre has successfully been dealing with the challenges put forth by the changing times and circumstances. Ensuring that refugees receive fair and just treatment within the context of legislation is not always an easy task as it often involves those who have suffered badly in various ways in their country of origin. Here at the Refugee Advice Centre, we take it as a challenge and work in a team for an objective assessment of our clients' cases in order to give them appropriate advice and provide them with necessary services which are mostly free of cost. In this way, on the one hand we assist in making many peoples' lives safer and on the other hand provide an essential public service to the community. 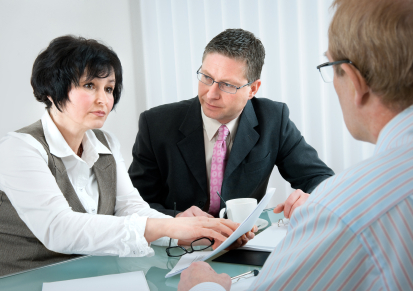 Traditionally, our main areas of work have been immigration and welfare law. We are well-known in the advice sector and have built our reputation over the years through our dedicated services. We were awarded Specialist Quality Mark in Immigration by the Legal Services Commission in 2002. Later in 2004 we received General Help with Caseworker Quality Marks in Debt, Housing and Refugee matters. We are members of Advice UK, Immigration Law Practitioners Association, LVSC, Refugee Council. At present, a new phase in our development is under way. We have recently started a new frontline service to support victims of hate crime & domestic violence in Waltham Forest. We are providing this service on behalf of the London Borough of Waltham Forest on contract basis. More recently, we have become an umbrella for 12 local multilingual advice agencies known as Multilingual Advice Services Consortium (MASC). With the help of MASC, we have been successful in getting a grant from the London Councils to improve access to advice to BMER communities. We have a three year plan which will bring us closer to the people we advise and build on our place in the sector as a high quality provider of advice. We are a not for profit organisation but we expect to make the best use of every pound of public money we receive to deliver effective high quality service to our clients. Whether you are a client or a volunteer or intend to join us as an employee, we hope you will have a pleasant experience with us. Finally, you don't have to be a refugee to come to the 'Refugee Advice Centre'. Please note that we do not reply to email asking for advice and client are invited to attend our office for advice. We have an accessible hot- desking room and cubicles with desks and computers that are avaliable for hire by community organisations. The offices are located at 702 High Road Leyton, London E10 6JP with public transport nearby.